Home / Baby / Why I Will Never Let My Baby "Cry-It-Out"
Methods for putting baby to sleep are a hot button issue for moms and a source of great debate. Personally, I hate the mommy wars and am a firm believer in parents doing whatever works for their family. However, there's just one thing that I can't get behind and that is the Cry-It-Out (CIO) method. It's important to define exactly what the cry-it-out method is that I am talking about. I'm not talking about the Ferber Method, or sleep training methods where you do offer soothing to a baby after timed intervals, which I believe can be great methods for some families. I'm talking about what is scientifically termed, total extinction. The method of leaving a baby to cry until they fall asleep with no soothing whatsoever. 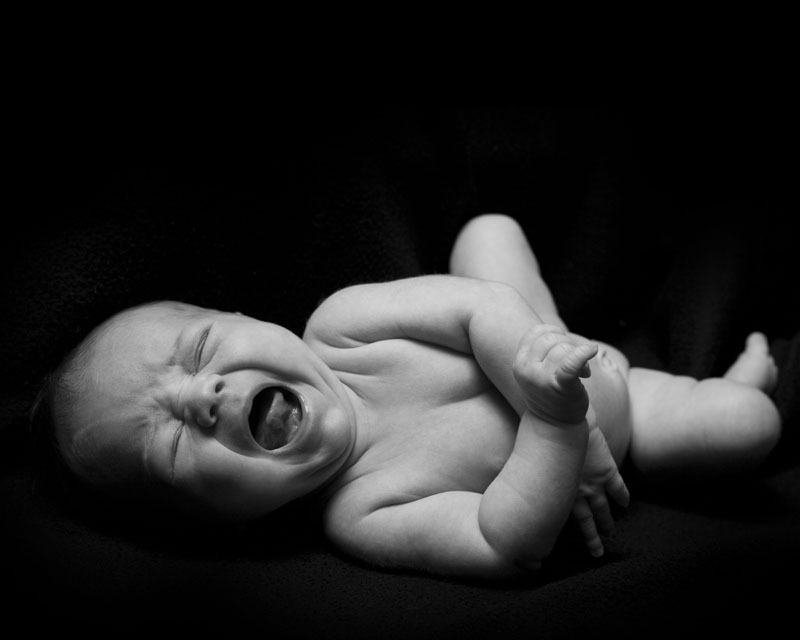 While some argue that the cry-it-out method could lead to hormonal imbalances, developmental problems and harmful physiological changes, there are others arguing that it does no such thing. There's one study, however, that is ingrained in my mind. It was a study done in 2011 by researchers at the University of North Texas. In this study, they tested the levels of cortisol, the stress hormone, in 25 infants between 4 and 10 months of age and their mothers. By the third night the babies did fall asleep faster. However, their cortisol levels never dropped even after they stopped crying. This means, that despite the fact that the babies stopped crying, they were just as stressed as before. Soothing is a basic need of babies, just like eating and having diapers changed. I never intend to withhold a basic need from my daughter just to make my life easier. The fact that those babies were in just as much distress even after the crying ceased, leads me to conclude that they had thus given up on their basic need being met. These babies were not "self-soothing" as their stress never ceased. They never soothed themselves, they gave up. I am not so self-righteous or ignorant as to think my daughter has never had to wait to be soothed. There have been times, particularly during witching hour, when I had to set her in her crib and give myself a few minutes before going back and attempting to soothe her again. There have been times where she had to wait, because that's how life works, but she gets soothed to sleep every single night. If I have to do that for years to come- I consider it time well spent.